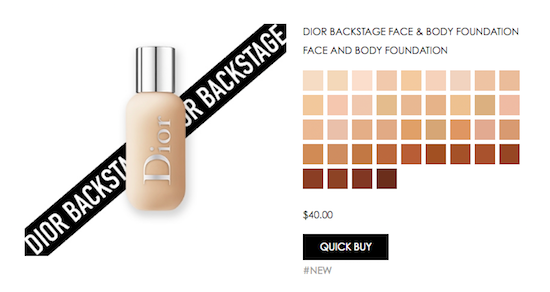 Just PMSing: I Own Dior Foundation. I Am A Millionaire. I have a ton of acne. If you would like to read about my skincare journey, then, please, by all means, do it. But the other day I walked into Sephora because I needed full coverage foundation. Because I have acne. And it's bad. I'll spare you the photo. So I tell the nice Sephora lady and she tells someone on a walky talky and then when someone doesn't appear quickly enough, she walks over to a nice man and says, help this poor woman. He does the thing where he puts a device up to my face to find the foundations that match my skin. Suddenly, hundreds of foundations sold at Sephora pops up on the screen. He scrolls past dozens until he finds the Dior one. He clicks on it and walks me to the Dior section of Sephora, which I have never seen. He takes half my makeup off and puts Dior foundation on. He then wipes it off. He walks me over to Makeup Forever and puts primer on me. He says look. He's doing all of this on the side of my face that is completely clear. Then he puts the Dior foundation over the primer and says look! I say ok, will it cover up this, pointing to the other side of my face that features, oh I don't know, seven pimples. And he nods. And now I own Dior foundation. Now I remember my friend Augusta telling me years ago that she wears Dior foundation. She explained that she went to Sephora and she also did the color-match thing. She explained that the foundation that best matched her skin tone was Dior. And at the time, I thought, oh silly, Augusta. They are using you for your money. Knowing that, I still went along with it because apparently I'm a millionaire. This is day 2 of 100 days of blogging. Read day 1 here.